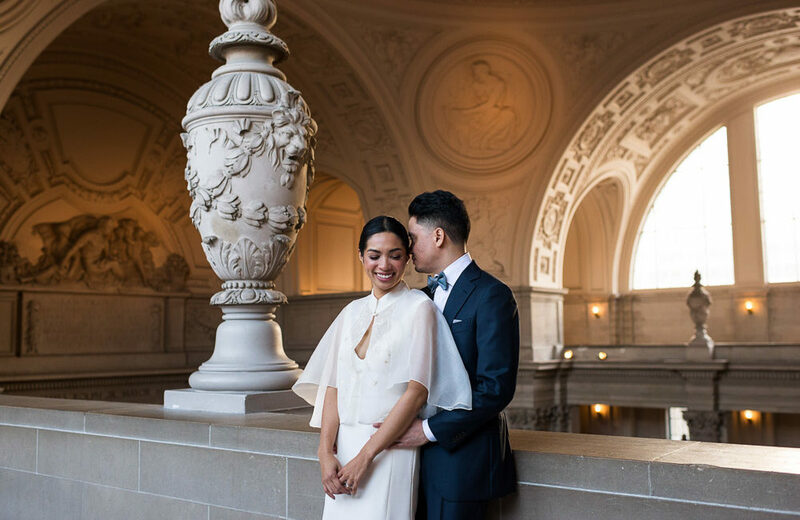 Their City Hall ceremony was the smaller, more intimate of the two, but it was still larger than most typical City Hall weddings. In fact, there were so many friends and family gathered around Holly and Carlo taking photos (not to mention me and a few videographers), I think some of the tourists who just happened to be there at the same time thought that they were celebrities. I swear I saw complete strangers taking photos of them! Really though, this is just a testament to what amazing people Holly and Carlo are. Their love for each other is matched by the love their friends and family feel for them. I hope you enjoy these images. They are just a taste of what you can expect from their big party that happened the next day. Holly and Carlo Got Married (Part 2)!